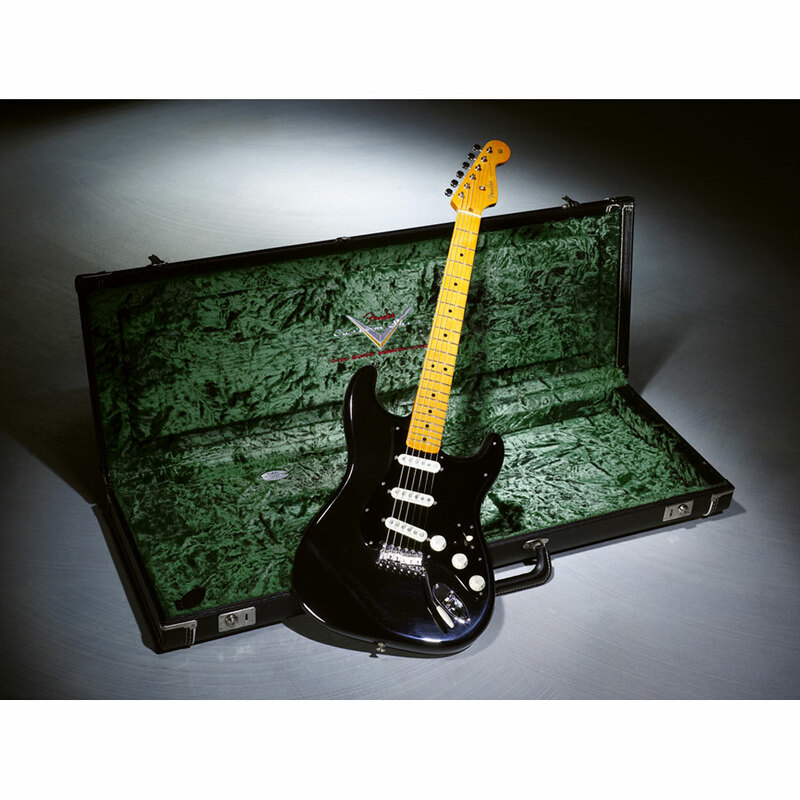 The Fender Custom Shop David Gilmour Signature Stratocaster. 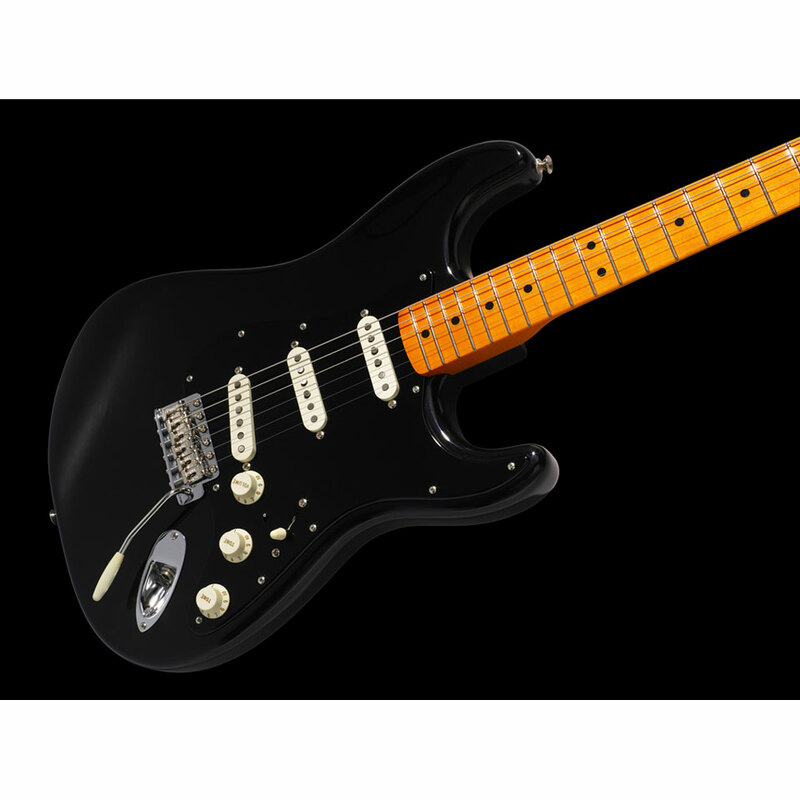 This guitar is based on one of the most legendary and sought after instruments of the past 50 years, the famous Black Strat from David Gilmour. 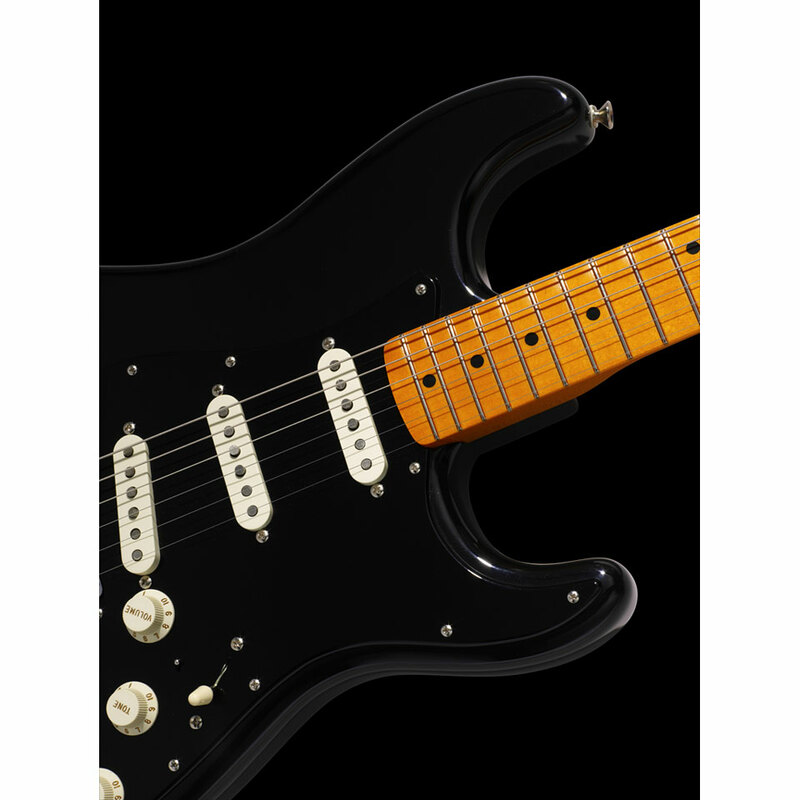 It represents a cornerstone of the revolutionary and incomparable Pink Floyd represent sounds that have been extensively heard on "The Dark Side Of The Moon", "Wish You Were Here", "Animals", "The Wall" and ultimately on Gilmour's solo album "On An Iceland ". 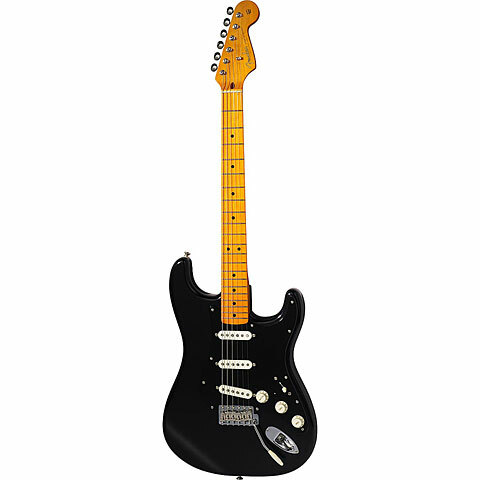 The Fender Custom Shop worked closely with Gilmour and his longtime guitar tech Phil Taylor together to create this reproduction of the Black Strat faithfully in appearance, sound and feel. 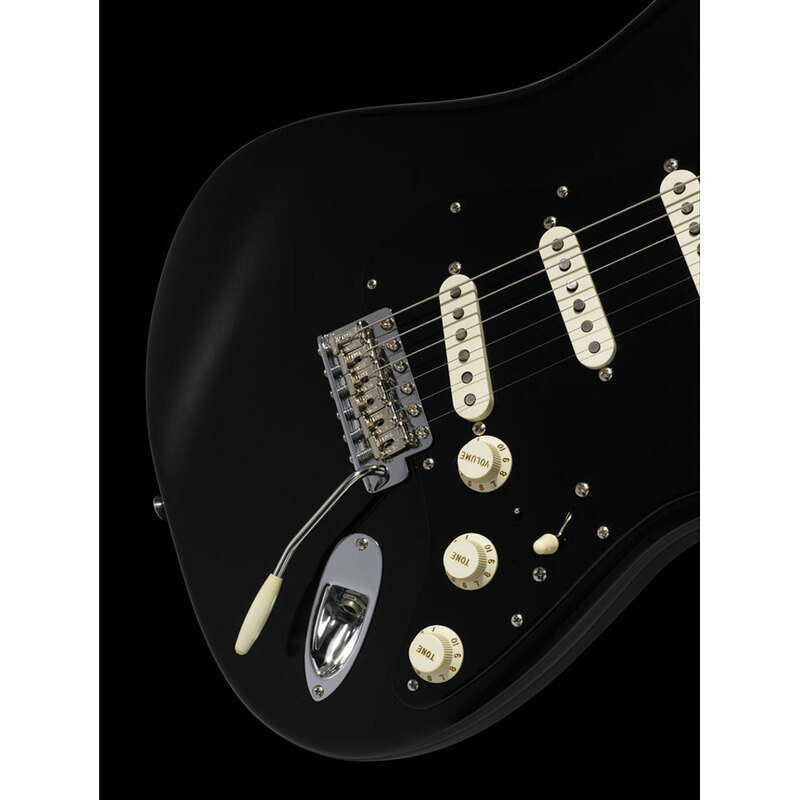 With its Black over Sunburst Nitro paint, black pickguard, the One Piece Maple Neck, custom pickups and the shortened tremolo arm, the David Gilmour Signature Stratocaster is as beautiful, powerful and just as distinctive as David style itself. 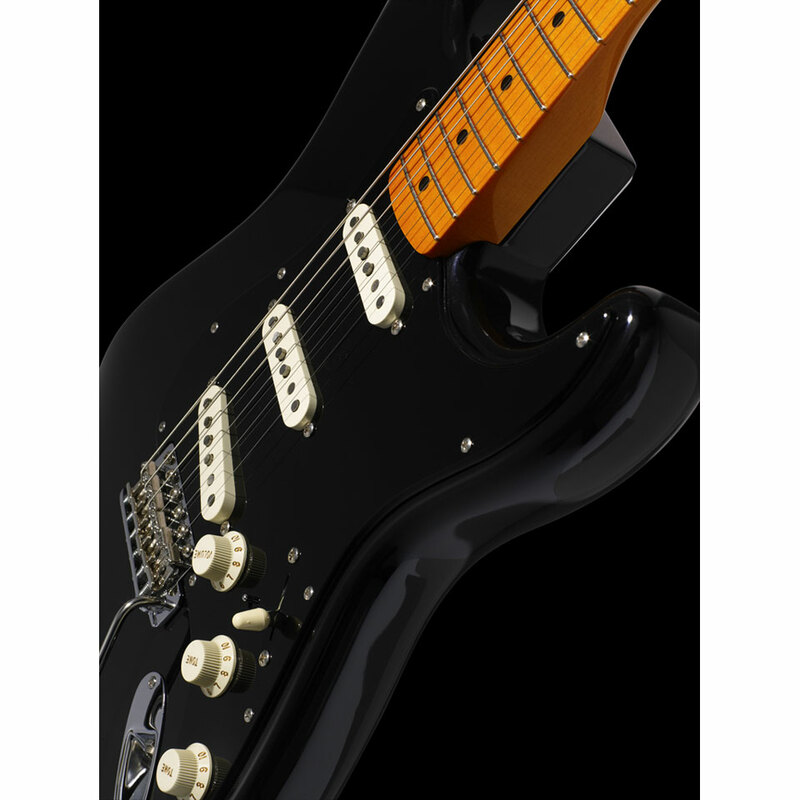 In the custom artist series, you will find the somewhat more exclusive signed Fender instruments. The amount of instruments on offer is manageable. They are few and far between, but sometimes you´ll find a limited edition from this nobel brand that has actually left the USA..!! 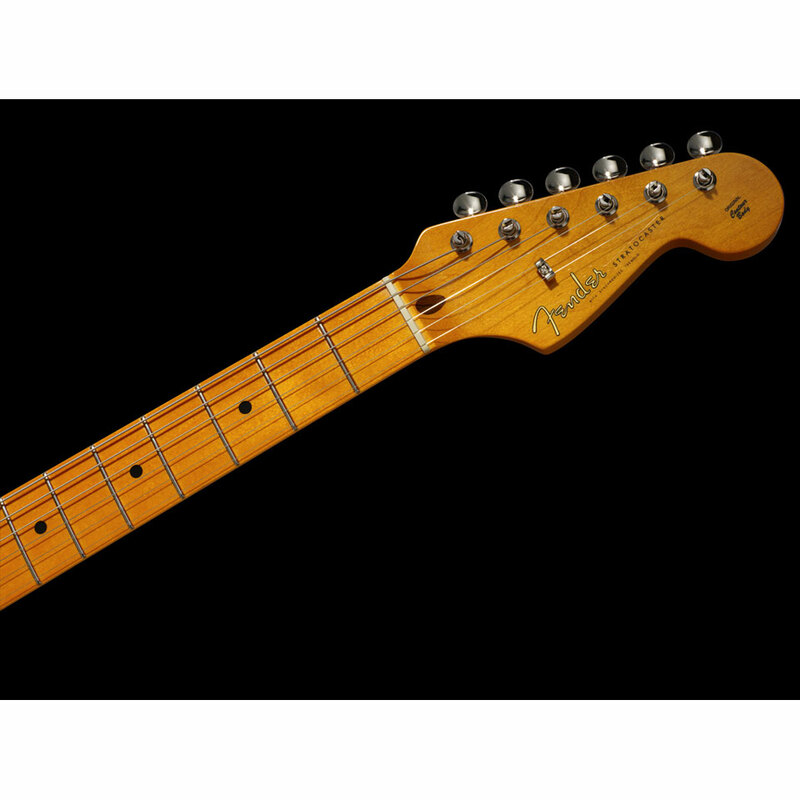 Until now, from the normal "Signature Series" only the Eric Clapton and Jeff Beck Strats were honoured with a Custom Artist variation. All other contestants hold a very exclusive seat in this exquisite club.